Join us for our biweekly Community Potluck Dinners and Music Jam Sessions at Mountain Brook Community Library*, 2353 Foothill Road. The sessions are open to all skill levels and to those wishing to listen rather than play. We meet on alternating Sundays, with exceptions for holidays and other events, so check the list of dates below for upcoming sessions. Potluck begins at 5 pm, followed by acoustic music until 8-ish. *Library rental fees go to restore the historic Mountain Brook Schoolhouse next door. Won't you DONATE NOW to help us restore quiet habitats for fish, wildlife and people? Your donation will do double-duty if received this week! Come join us for a wilderness slide show and book signing by Frederick Swanson on Wednesday, May 13, 7-9 pm, at the Swan River Community Hall! 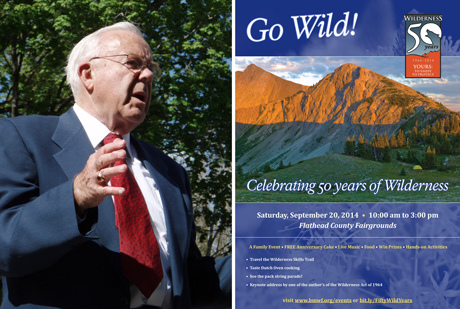 Learn about the hard-fought battles for Wilderness in Montana and Idaho - and be inspired to continue the charge! 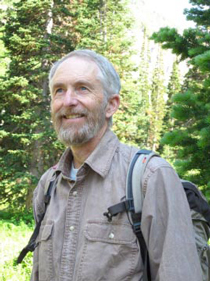 Mr. Swanson will emphasize the long fight for the Swan Range's Jewel Basin and Bunker Creek, while talking about his new book "Where Roads Will Never Reach: Wilderness and Its Visionaries in the Northern Rockies." Admission is free! 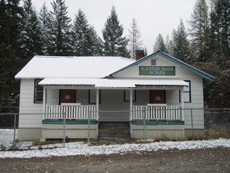 The Swan River Community Hall is located across Highway 83 from the Swan River School and Echo Lake Cafe northeast of Bigfork. Click here for a press release that provides more details and background. 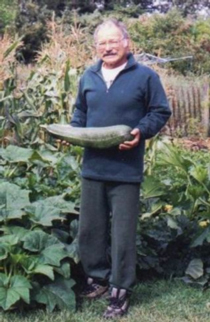 Click here to listen to Mr. Swanson's 35-minute interview on this subject with Whitefish Community Radio - but still come to the slide show May 13 to see and hear much, much more! Attend a Forward for Climate Rally this Sunday, Feb 17! Attend a Forward for Climate rally this Sunday, February 17, at noon in Bigfork, Whitefish, Kalispell, or a city near you! We must MOVE FORWARD NOW! The four-frame photo of the wolverine above was taken in July by Chad Harder, in the late-season Montana snowpack absolutely essential to wolverine raising their young. Fish and Wildlife Service predicts these already limited habitats will decline by 63% in this century due to climate warming - threatening the wolverine with extinction in the lower 48 states! But it’s not just wildlife that is at risk, a few degrees of climate warming threatens the very existence of human civilization as well! If you need convincing, take a few minutes to watch this video on “climate warming made simple” by David Roberts. We cannot afford to dig up the Alberta tar sands and Montana’s coal, selling it to China or elsewhere so it can be spewed into an already warming atmosphere that we all share! The time for a change in our energy sources and consumption is NOW, before it is too late! Please act this Sunday to move us Forward for Climate. For more info visit Forward for Climate: 3 Flathead Valley Rallies, or visit 350.org to learn about the main Washington DC rally or search for a same-day rally in your neighborhood! Sign a letter to President Obama here, urging him to take firm action on climate change! Annual Membership Meeting November 11! Swan View Coalition’s annual membership meeting will be held from 4 - 5 pm on November 11, just prior to the regularly scheduled Swan Range Community Potluck and Music Jam Session. We’ll quickly summarize the past year’s challenges and accomplishments, elect officers of our working committee, then socialize over potluck dinner. Folks are welcome to stay and listen to music or join in making it! 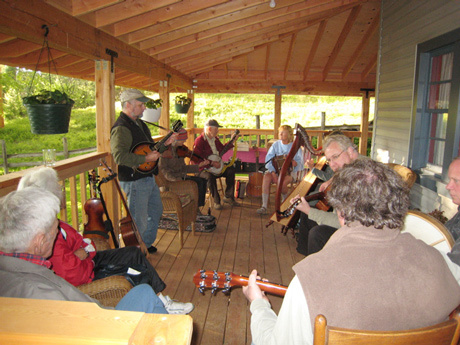 The meeting, potluck and jam session will be held at the Mountain Brook Community Library, 2353 Foothill Road.